The International Paralympic Committee said Friday it will conditionally readmit Russia by March this year, lifting a suspension imposed over a doping scandal. A Kremlin spokesman responded by saying Russia was delighted. "We are absolutely thrilled for our Paralympic athletes," said Kremlin spokesman Dmitry Peskov. "(Russia's President Vladimir) Putin has always shown them full and unconditional support. "We hope the constructive and transparent work will allow the Russian sports authorities to turn the page in their relations with international bodies." 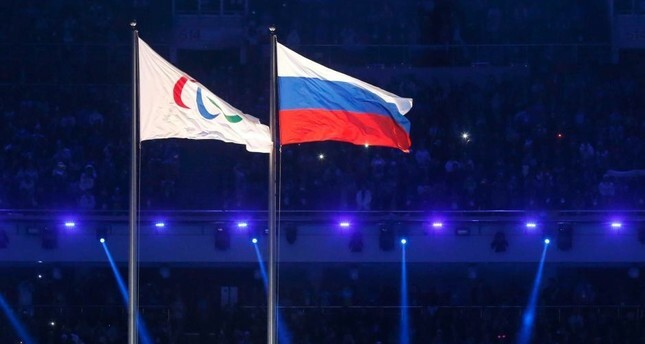 The IPC say the ban will be lifted by 15 March 2019, providing the Russian Paralympic Committee (RPC) adhere to a strict criteria. "In August 2016 the IPC suspended the RPC because it was necessary and proportionate to the situation we faced and essential to ensure clean sport," IPC president Andrew Parsons said in a statement. "Twenty-nine months later it is the IPC governing board's firm belief that keeping the RPC suspended is no longer necessary and proportionate to the situation we now face in Russia." The IPC said the Russian Paralympic Committee met the necessary criteria for reinstatement -- which must be maintained -- after implementing a 'robust' testing programme under the guidance of world anti-doping agency WADA and launched an anti-doping education programme for athletes and coaches. Stanislav Pozdniakov, chairman of the RPC, hailed the news as a "very important step" but noted that "there is still much work to be done to implement the instructions of the International Paralympic Committee". Russia's Sports Minister Pavel Kolobkov also pleased. "It was a long-awaited decision, the Russian Paralympic Committee worked for two and a half years for its rehabilitation, and we did a tremendous job," said Kolobkov in a statement. Russia was officially kicked out of the 2016 Summer Olympic and Paralympic Games, as well as both editions in 2018, in the wake of the bombshell 2016 McLaren report, by Canadian law professor Richard McLaren, which exposed a state-backed doping programme. However, some able-bodied Russian athletes, with clean records, were allowed to compete under a neutral banner at the Olympics. Last February, the IOC lifted the ban for athletes to compete at future summer and winter Olympics, so the readmittance of their Paralympic team is the latest step in Russia's rehabilitation in the Olympic movement. The International Association of Athletics Federations (IAAF) still officially bans Russian athletes from competition. However, 42 Russian athletes were cleared last month by the IAAF to return to events, albeit competing under a neutral banner, with the world athletics championships to be held later this year in Doha, Qatar.